A Day Late and A Dollar Short: LensRentals Adds New Keeper Program! LensRentals Adds New Keeper Program! I was recently contacted by LensRentals.com. Never heard of them? If you are a budding, amateur, or even a professional photographer or a blogger, this may be something worth checking into! I know I love the idea of being able to rent photography equipment; now, LensRentals is giving you the option of keeping the equipment you love! 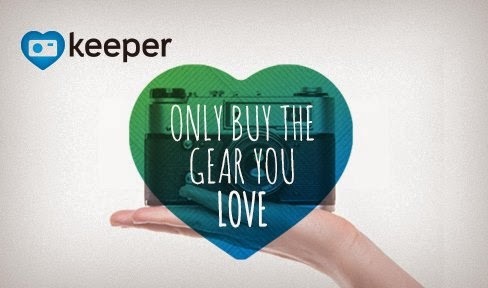 LensRentals, the leading photography, video, and lighting equipment rental company, today announced the official launch of its “try before you buy” Keeper Program, providing consumers the assurance of purchasing equipment that they know meets their needs at a reduced price. The Keeper Program allows customers to rent equipment and apply up to seven days of rental fees towards the purchase of the equipment. In addition the retail price of the item is adjusted according to the age of the equipment further reducing a potentially expensive investment for photo and video enthusiasts. With more than 1,400 products now eligible to be purchased through the Keeper program, approximately 90% of LensRentals range of equipment, it offers something for every level of enthusiast. Only hard-to-source equipment may not be available for purchase post rental. LensRentals scores the highest level of equipment inspection and cleaning in the rental industry, maintaining an equipment failure rate of less than 1%. All LensRentals products are bought new, sold after 2 years of rental use, and extensively tested before and after each rental. To try the program, consumers can visit the LensRentals website, browse through the huge range of equipment for rental to discover items with a green “Yep. It’s a Keeper!” badge that identify products eligible for the Keeper Program. Clicking on the green badge presents consumers with a range of prices and how the discounts are applied. Existing LensRentals customers can simply charge the cost to the original credit card placed on file at the time of rental. The Keeper program was created to offer more flexible terms for photo and video enthusiasts looking to make an investment in equipment. Following an extended trial period in late 2014, the Keeper Program has already proven successful saving consumers money from hundreds of purchases to date. Founded in 2006 and headquartered in Memphis, LensRentals provides photography, video, and lighting equipment for lease from the largest inventory of equipment in the United States, shipped to customers throughout the 50 states. LensRentals provides services to hundreds of thousands of photographers annually, maintaining the values of its founder; share the best available equipment, at its optimum quality and educate its users to make sure they can achieve their goals as a professional, amateur and video or photography enthusiast. The company maintains the highest quality of available equipment with the lowest equipment failure rate in the industry. Visit the LensRental facebook page for more information.